At last! 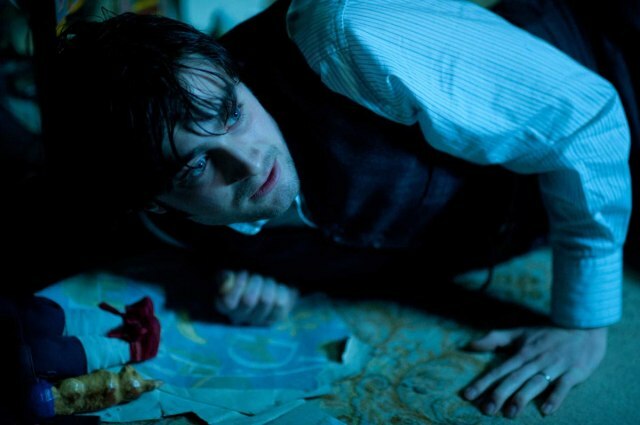 The long-awaited gothic ghost story starring none other than Harry Potter (er, I mean Daniel Radcliffe). Many wanted to see the classic story put to screen. Many wanted to see a decent horror movie for once. And many others just wanted to see Harry Potter all grown up. We open on a scene with three creepy little girls in Victorian dress, playing with dolls. Creepily they all look to the left, and they all stand in creepy unison. And as the creepy music plays, they simultaneously open a window and creepily step off, side-by-side, to their doom. The movie takes place in a remote village painted in washed-out hues, on the outskirts of which is a deadly marsh. A winding road cuts through the foggy wasteland, often submerged when the tide rolls in, to get to a secluded estate that is frightening in all its rotting glory, haunted or not. How could you go there and NOT expect to see a ghost or two? Enter Arthur Kipps (Radcliffe), father of a four-year-old whose mother died in childbirth. Still grieving, he is sent to the estate as a solicitor to make sure all the paperwork is in order after the owner dies. But eerie occurences lead him to discover the town’s curse. Whenever somebody sees the spectral form of the Woman in Black, their resident ghost, a child in the town dies. The townspeople tell Arthur to leave but he resists, staying in the house and witnessing the ghost himself. Atmospheric tension abounds as Arthur explores every dust-covered nook and cranny of the house, and it rachets up when the haunting makes its presence known. Upstairs, a screech and banging sound echoes and echoes in the silence until Arthur finally gets into the locked room to find a rocking chair moving of its own accord. Never have I ever felt more dreadful suspense at listening to a rocking chair. The consistent pounding mimics your own beating heart as you venture with Arthur through the house, searching for the source of the noise. Such is the beauty of The Woman in Black: simple sights and sounds are twisted into horror in ways more subtle than your average modern slasher. 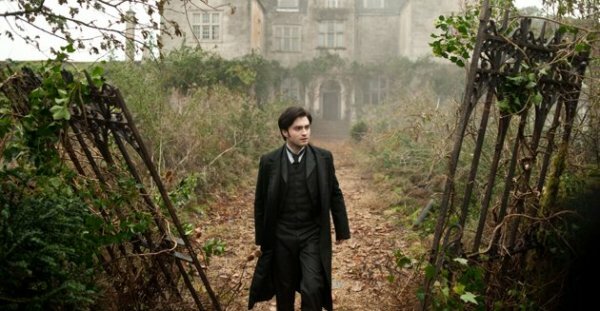 The story itself is simple, revealed slowly as more sinister clues are dropped about the nature of the woman in black. The movie is light on the dialogue, which only adds to the eerie silence of the location and forces you to note all the creepy little sounds. A dark hallway manages to have a personality of its own, and windup toys turn childish things sinister. For his part, Daniel Radcliffe does a good job portraying the grief-stricken solicitor. As he is rather manic and nervous in real life, I was impressed by how he pulled off the deeply somber disposition of his character, and it was refreshing to see him in a role that isn’t Harry Potter. Unfortunately, he still sort of resembles a teenager playing dress-up in adult clothes, thanks mainly to his boyish features and short stature, but by the end I felt almost convinced that he could be a young, lost father. An excellently satisfying gothic movie, The Woman in Black succeeds precisely because it rejects the modern standard of gore-filled, shock-exploited horror. This movie is subtle and slyly eerie, and in the end you feel as though you, too, have endured a journey straight into the heart of the macabre. Whether you come out the other side in the train station, however, is up to you. I think a lot of fans of psychological horror are going to be very pleased. Maybe this will start a new trend in Hollywood. Great review! Sounds like this is one creepy movie! I’m excited to go check it out myself. Great spooky movies are hard to come by because Hollywood typically goes for true horror and gore and they think that’s spooky. Not. I love ghost stories, good ones. The Sixth Sense, in my opinion, is one of the better movies for it’s spook factor. Gothika and They were pretty good and What Lies Beneath started out great but I didn’t think any of these were as good as The Sixth Sense. Thanks again for sharing your review! Conversely, since I like The Others it’s even more reason for me to see this film.